How Will I Be Able to Hang Out With My Boyfriend If My Friends Hate Him? Carve out special time to spend just with your guy. Even though you hold your guy in the highest regard, it doesn't necessarily mean that your friends do, too. While having everyone in your life get along is ideal, it's not always possible. If personalities are clashing, you'll need to diffuse the situation with careful consideration and communication. You have your friends, and he has his, and that's actually a good thing. 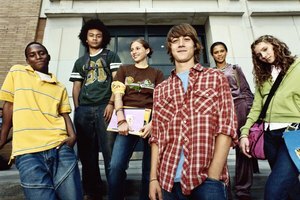 The experts with TeensHealth point out that it's important to maintain your own identity, separate from your significant other, because you don't want to lose the things that make you unique. If your friends aren't fond of your boyfriend, you can keep your friend identity separate from your romantic relationship. Spend time with your friends while your boyfriend hangs out with his. For example, go to the movies with the girls when your guy hangs at his best bud's house. Unless you plan on spending time with your friends 24-7, you'll still have plenty of free time to get together with your guy on your own. Don't assume that your boyfriend knows your friends hate him or that he understands why you can't hang out with him all the time. Communication is key to letting him in on your needs when it comes to this tricky situation. Gently tell him that your friends want to spend time with you alone. Ask him if he has any questions or concerns about how your friends are affecting your relationship. Keeping the lines of communication open when it comes to this topic helps you to let your guy know that you're being pulled in two directions, without the added burden of hiding the fact that your friends don't want him around. Hearing how you feel can make him more sensitive to your needs, and you may be able to work together to figure out how to deal with your friends' dislike for him. Ask yourself, "Why do my friends hate my boyfriend?" If these people are your true friends, they should have your best interest at heart. Consider the possibility that you have blinders on to his bad behavior. Take what your friends have to say about your boyfriend seriously. For example, Annie says that he always insults her and Janey doesn't like how he constantly makes fun of the way that you dress. If your friends have made an honest effort to get to know your guy, but still only see the negative, take a look at him from their point of view. In the event that they're correct in their assessment, you may want to end things with him. If they are wrong, or resent him for being in your life, it's your friendship that needs to come into question, not your romantic relationship. Keeping your boyfriend and your friends happy and satisfied with the amount of time that you see them is challenging, so put some balance back into your life by planning ahead. Set specific date nights with your boyfriend and mark your calendar with events and activities that you've promised you would do with your friends. For example, devote Saturday nights to going out with your guy, while Sundays are for hanging at the mall with your friends. TeensHealth: Am I in a Healthy Relationship? 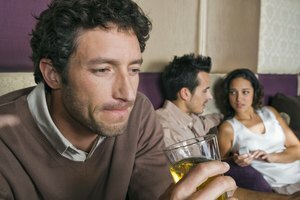 Psychology Today: Her Friends Say They're "Just Not That Into Him"
What Do I Do if Girls Won't Leave My Boyfriend Alone? Can Men and Women Have a Platonic Friendship? Loop, Erica. "How Will I Be Able to Hang Out With My Boyfriend If My Friends Hate Him?" Synonym, https://classroom.synonym.com/able-hang-out-boyfriend-friends-hate-him-23036.html. Accessed 25 April 2019.